Now that Star Wars: The Force Awakens is on the verge of its physical DVD release, we can officially begin to direct all of our available brain cells to the filming of Star Wars: Episode VIII. Daisy Ridley, one of the franchise’s newest stars, is now doing exactly that, and as it turns out, she finds herself in a much better position to do so, having already been through it all once before, and the experience is quite different the second time around. On the eve of the DVD release of Star Wars: The Force Awakens, Daisy Ridley took part in a Q & A session on the official Star Wars Facebook page. One of the questions, drawn from an R2-D2 cookie jar, asked her to compare her experience working on The Force Awakens to what she is currently going through working on Star Wars: Episode VIII. Ridley says that her experience the first time around was somewhat overwhelming, however, now she’s handling it all a bit better. They are two very different things. Episode VII was like the beginning of the whole thing, and it was terrifying and incredibly rewarding, and I felt like I pushed myself beyond boundaries I thought I had. And now [on Episode VIII], I feel more together and I feel more present. This isn’t the first time that we’ve heard that Daisy Ridley may have had a bit of difficulty adjusting to the entire Star Wars experience. Peter Mayhew, who plays Chewbacca, had said previously that he found Daisy Ridley to be a bit "solid" during filming, and Ridley herself said that J.J. Abrams was critical of one of her early scenes for being too wooden. We can only imagine how stressful the experience of making the first Star Wars movie in over 10 years would have been. In the end, though, everything turned out great. We also know that Daisy Ridley wasn’t the only one who may have been terrified filming Star Wars: The Force Awakens. Recently, her co-star, Adam Driver, was asked a similar question about the experience of filming Star Wars: Episode VIII. He spoke about how making the previous film required a lot of additional work creating the "language" of the movie. Now, that much of that work is done, the crew is a lot less anxious. 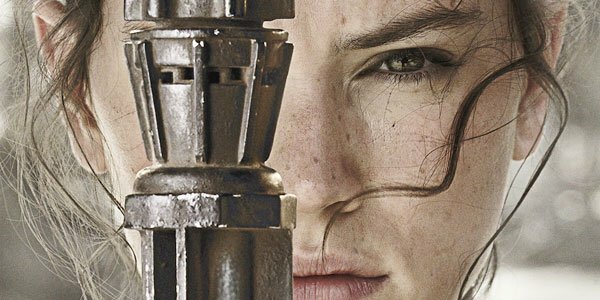 Check out Daisy Ridley’s full Q & A below. Daisy Ridley is live now. Let us know how excited you are for Star Wars: Episode VIII in the comments. We can't wait to see the movie for ourselves when it opens on December 15, 2017.